Kawasaki have been firmly put in the driving seat for tomorrow’s Suzuka Eight-Hours after Yamaha rider Kats Nakasuga crashed during qualifying earlier today. Nakasuga went down while avoiding a slower rider and his participation in the iconic race looks heavily in doubt which means that Alex Lowes and Michael van der Mark will either have to share stints or face having a third rider who is injured and probably off the pace. “Nakasuga had his line blocked by a slower machine and that likely led to his fall in the free practice. 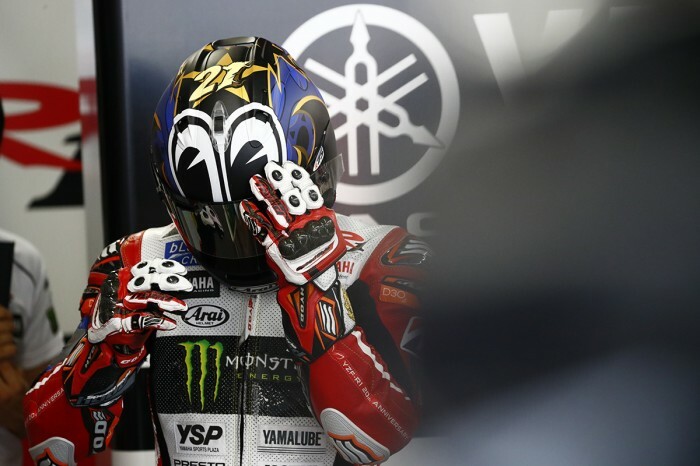 He went out again afterwards, but that was just to see how he was feeling physically, and we made the decision to err on the side of caution and have Alex and Michael ride in the Top 10 Trial,” said Yamaha team boss Wataru Yoshikawa. “We now have to re-examine our scheduling and strategy, but the more important issue is that we don’t know how the typhoon is going to affect the first part of the race, so we’ll prepare as much as we can to be ready tomorrow. It looks like the conditions could be rough in the race, so the potential, skillset and experience of our riders will be key. It means that Jonathan Rea and Leon Haslam, who are both well and truly on the pace, are now far and away favourites to win the event but a typhoon which is looming in the pacific could call a halt to the whole thing.